Are you interested in nursing, paramedicine, or medical school? Perhaps you want to become a ski patroller or a mountain, hunting, or whitewater guide? 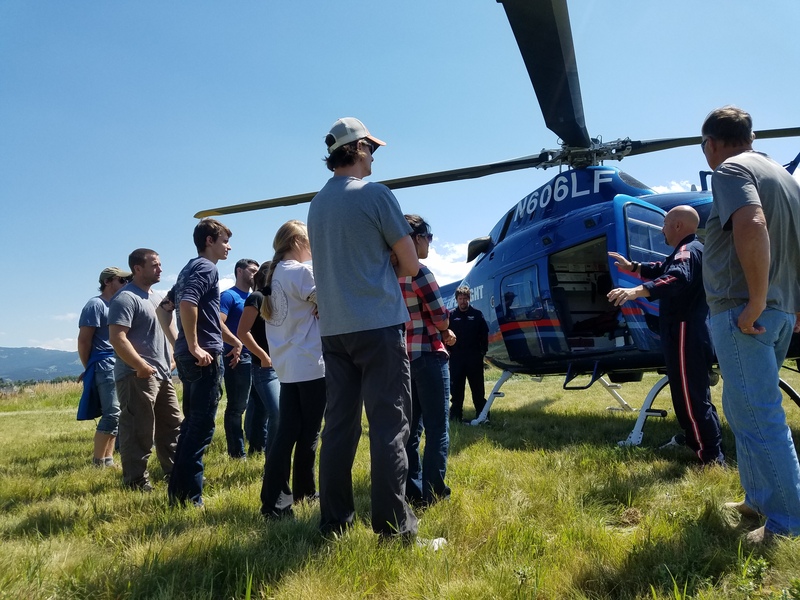 Learning to care for the sick and injured is an essential skill in these and other exciting careers--and a great way to launch a career in medicine or outdoor recreation. 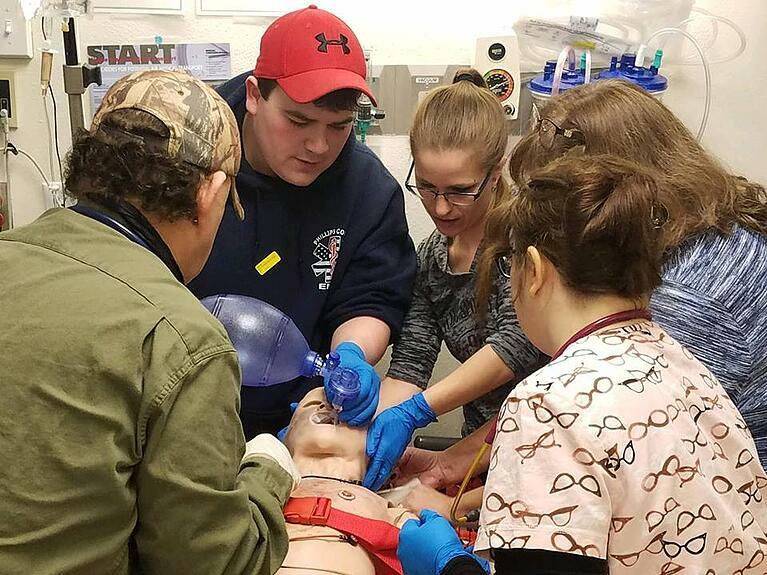 This Montana EMT course will help you stand out for future employers as a emergency medicine expert! Being prepared for the rare or unexpected medical emergency can be difficult for any clinician or medical team. 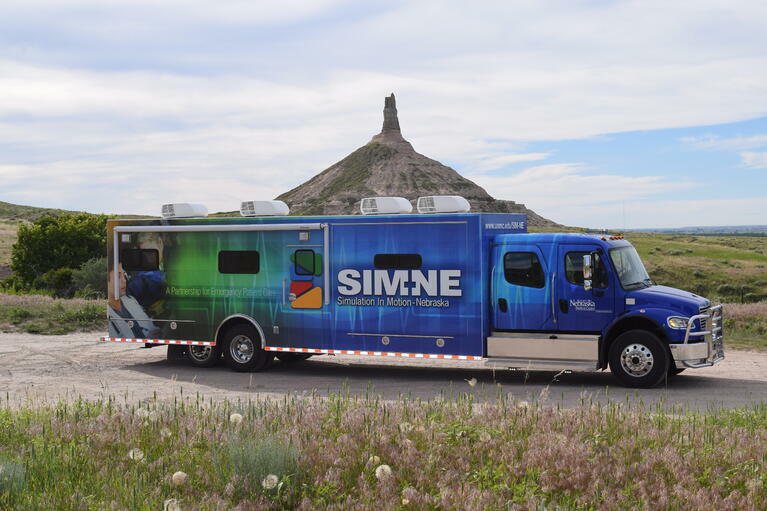 Mobile high fidelity simulation is changing that, however, helping clinicians stay sharp and be prepared for the infrequent high consequence patient care event. 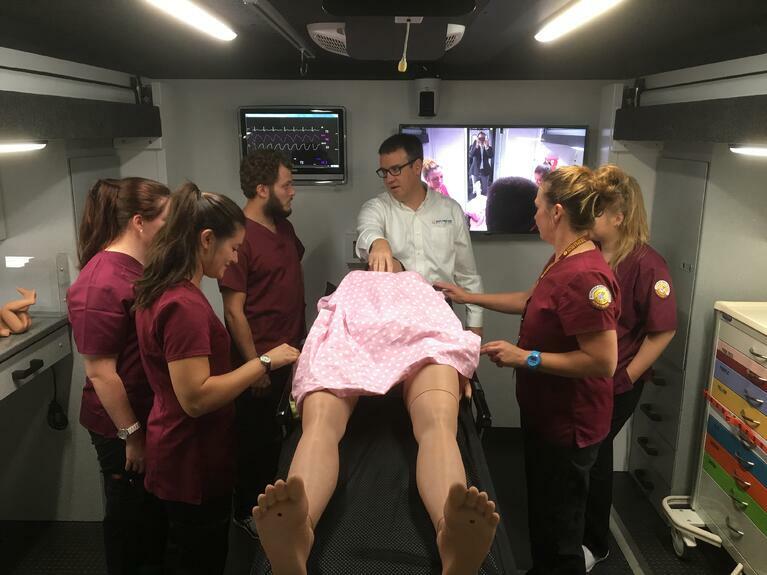 In the following interview we talk with Joe Poole, Director of Education at Best Practice Medicine, about Simulation in Motion Montana -- the largest mobile high fidelity simulation project in the United States. Read or watch the full interview below. Want to learn the ins and outs of performing a Rapid Trauma Assessment (RTA)? This vital skill for all EMT and EMS professionals is also invaluable for anybody in compromising emergency medical situations. Learn how to assess unresponsive individuals in the event that you witness or come upon a traumatic accident. A proper RTA can give Emergency Responders critical information when they arrive, and consists of a quick inventory of all the body systems to identify injured ones. Read on or watch the video below. Last month (Feburary 8) we ran an EMS refresher course for a fantastic group of EMTs and Paramedics here at our training campus in Bozeman. 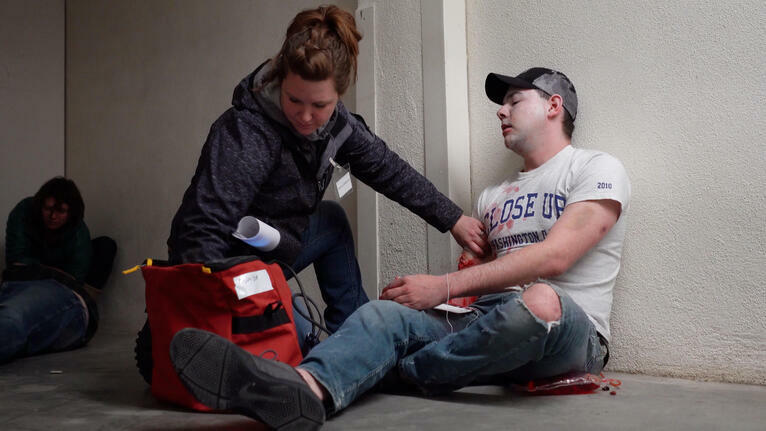 As a part of that training refresher, we created a full-on dynamic, emergency medical, rescue task force simulation based around a post active-shooter scenario. It included realistic props, obscure environments, and volunteer actors/trained medical professionals wearing full moulage makeup. This kind of hyper-realistic, immersive, simulation based education helps teams prepare mentally and physically for high consequence encounters. The panic and tears in the patient's eyes is alarming. A lethal combination of pain, hypoxia, low dose paralytics and chaos contribute to her tachycardia, tears, cold clammy skin, rapidly dropping oxygen concentration, and terror. Our flight team sizes up the case quickly. The patient received the wrong RSI medication package; she is not adequately paralyzed and is partially conscious. Multiple semi awake intubations have been attempted by no fewer than three health care providers, rendering the previously a-traumatic airway bloody and swollen. Next month, April 16-18, is the SIRH Conference, held this year in Omaha, Nebraska. This is the "Conference For American’s Rural Health Simulation And Education Specialists." If you haven't heard of it, it's a must-go event for any person or organization interested in or connected to rural healthcare in America, purpose-built for rural and remote educators. Made possible by the Helmsly Charitiable Trust, this is a gathering of national thought leaders and pioneers looking to network, learn, and move forward this growing and exciting field of clinical education. This is just the beginning for this dynamic, game-changing specialty and we need every thought-leader and change-maker on board. Be Prepared. Improve Outcomes. Stay Sharp. This blog is for you. From EMT and EMS how-to guides to simulation best practices, we'll cover here the latest cutting edge information and news in the emergency medical world. We're here to support and prepare you and your teams with the highest level of education and training imaginable. Want more? Contact us today!